Rotating workstations are an efficient and safe way to complete a sub-assembly process in a confined space and at the same takt time as the line. 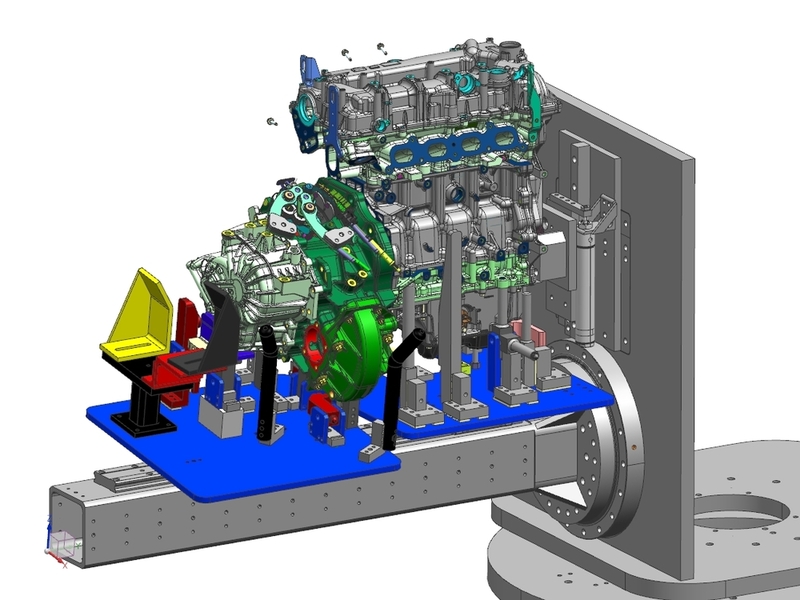 Our most common application is an engine and transmission marriage rotating workstation. First, the engine is loaded onto an empty wing. After a 90 degree rotation and in the next station, the transmission can then be placed on top of the engine. After another rotation, the components are fastened together. Finally, the unit is unloaded onto the production line using an overhead rail system. High precision installation of small parts in small areas is an exhausting task for an operator. Autocraft specializes in the design of hand held assembly aids to assist the operator in pushing in parts or placing parts into hard to reach places. Hand tools can be built from steel for strength or any type of plastic for weight reduction and product sensitivity. The most common tool we make is for fixing car emblems onto car bodies. 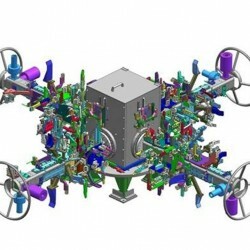 Autocraft specializes in designing innovative solutions for transferring and manipulating parts from point A to point B. From picking up a part with a simple hook to picking up a part and changing its orientation about multiple axis, Autocraft can provide a solution tailored to your operation. Autocraft takes into consideration the weight, redundancy, heights, reaches, and awkwardness of the part in customizing the right solution for your application, to reduce operator fatigue. 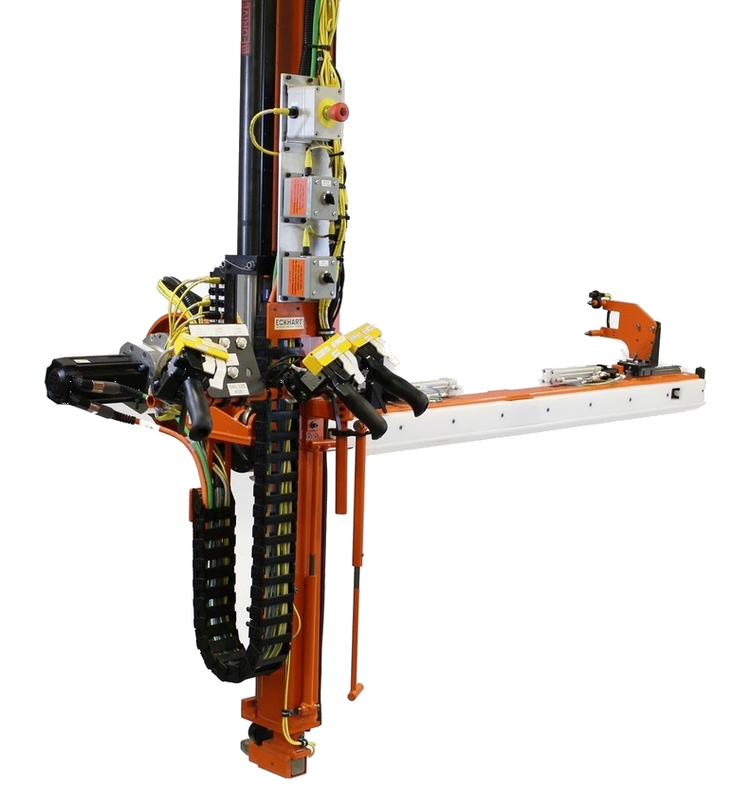 Lift assists and manipulators are an excellent way to increase efficiency and throughput due to offering higher speeds and flexibility to your processes.